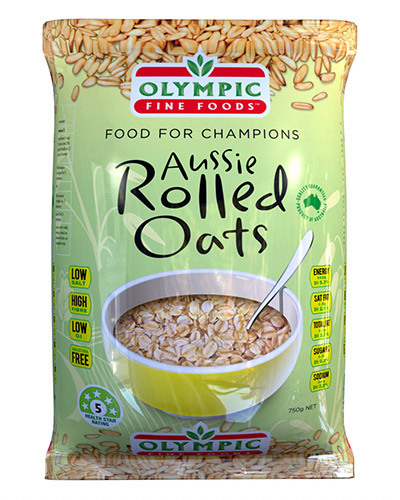 Olympic Rolled Oats are made from 100% quality Australian Oats. They are an excellent source of Fibre and Nutrients. Olympic Oats are the perfect way to start your day and are excellent at reducing the risk of cardiovascular disease and reducing the effects of Heart Disease, Diabetes and Cholesterol. So eat Olympic Oats today and enjoy the health benefits. Serve with your favourite dollop of Jam, Fruit or a sprinkling of Cinnamon. Love our Aussie Rolled Oats product?